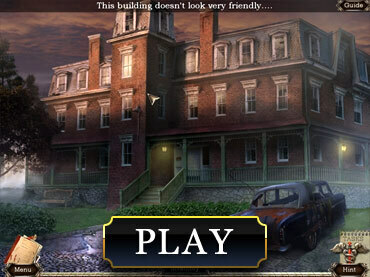 If you like this free game, try Mystery Expedition: Prisoners of Ice. Nowadays the Chestnut Lodge Asylum is abandoned and forgotten, but many years ago a real drama unfolded behind these gates. Every year, patients disappeared from the asylum without a trace. Neither the nurses nor the police could find any clue.But one day, everything changed. Yeah, it is a terrible place to go. But this is the only way to know why I had all those dreams and how I can return to my normal life - to a life without nightmares, premonitions, and fears.... Explore the Asylum and its surroundings, find out the true story of this place and face your fears at six patient rooms! Free Game features: - Creepy atmosphere; - Stunning art; - Solve the asylum mystery; - Face your fears; - Who is the last patient? If you have questions about Abandoned: Chestnut Lodge Asylum game, please contact us using this form.